Product information "4.8mm x 16mm Window Repair Screws (25 Pack)"
These are designed for use as a replacement screw. These are recommended as a replacement for missing or corroded friction hinge screws as they feature a shallow pan head and have a deep, spaced thread that is compatible with worn holes. 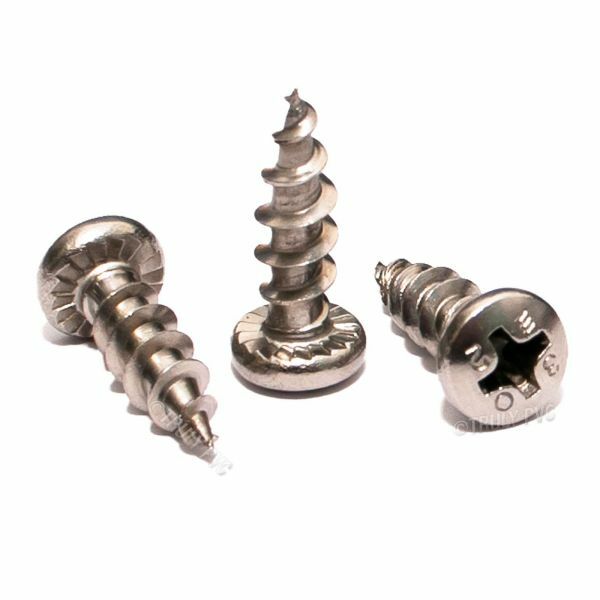 These versatile screws can be used for a host of uses where a replacement screw is needed to make a secure fixing into existing holes in uPVC windows and frames. Related links to "4.8mm x 16mm Window Repair Screws (25 Pack)"
Customer review for "4.8mm x 16mm Window Repair Screws (25 Pack)"